Armenian Ministries works in the country of Armenia. Our aims are to spread the Gospel through our various ministries, and provide physical help to the poor and needy. In practical terms, these aims are carried out through children's Bible clubs and camps, Gospel meetings and Bibles studies, translation of Christian literature and humanitarian aid projects. 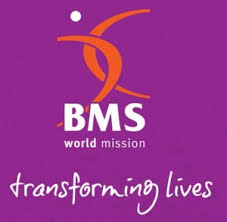 BMS World Mission is a Christian missionary society founded by Baptists from England in 1792. Working on four continents it is involved in church planting, development, disaster relief, education, health, and media and advocacy. The Central Baptist Association covers the counties of Bedfordshire, Buckinghamshire, Hertfordshire and Northamptonshire and has 156 churches with a combined membership of around 11,500 (including Local Ecumenical Partnerships). Its aim is best summed up by its strap-line “walking together in ministry and mission”. We represent a group of 14 church fellowships in the Kettering/Corby area. Explores His life, character, teachings and followers, how He has been quoted and misquoted, written about, worshipped and argued over.